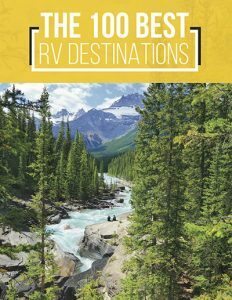 To determine the best RV water filter for your needs, you should first know how much clean water you need. How Much Water Should I Filter? There are two answers to this question: all of it or some of it. If your water is usually dirty or has sediment, you will need to filter all of it. Sediment and odor filters are very common in most RVs. Most campgrounds provide chlorinated city water. Some have well water for the use of RVs. 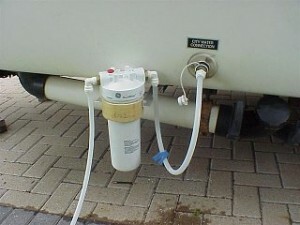 Some RVers install a carbon filter in their filtration system, so as to remove the taste and smell of chlorine from the water they use in their RV. If you only carbon filter the water you drink, then you should expect that the water you use for showering or brushing your teeth, will taste and smell like chlorine. It is necessary that you clean and sanitize your fresh water tanks periodically to prevent stagnation. Full-time RVers who are constantly emptying and filling their tanks need not worry about stagnation too much, but they do need to sanitize their tanks regardless. Part-time RVers whose rigs lay abandoned for months at a time need to be very careful about how they maintain their tanks. Nothing beats periodic cleaning when it comes to keeping your tanks sanitized. If the water you obtain, for use in your RV, is not too bad, an inline RV water filter for your kitchen tap may be all that is required. An ultraviolet unit or ceramic filter would be most ideal in such a situation. 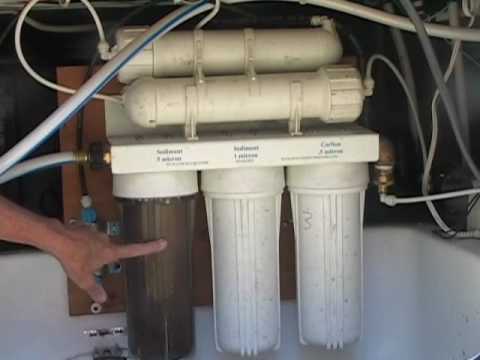 A reverse osmosis unit allows for the highest level of water purification in your RV. In order to filter all the water that gets into your RVs holding tanks, you will need a filter that is attached to the hose. 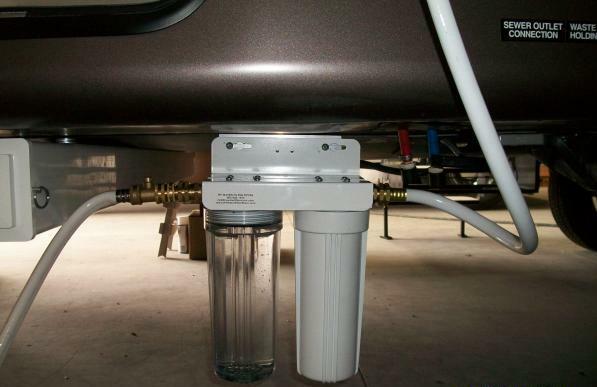 Inline units that combine carbon filtration and sediment removal are the best water filter systems for RVs. These systems have decent odor and taste removal capacity, but limited sediment removal. They are small in size, and have a limited flow rate, as well as a short life span. These are adequate filters for people who do not use their RV too often. For individuals who need a longer shelf life and better flow, a standard-size canister system would be the best water-filtration system. The systems can be customized, and configured for special purposes. Numerous filter cartridges are available for such as system. If you only install a one-cartridge system, the filter you choose for it should perform multiple functions. If you use a dual, or even triple, cartridge system, each cartridge can have a filter for a specific task, i.e. sediment removal, taste and odor improvement, and a phosphate cartridge. For example, a good double-cartridge system would incorporate the 1-micron disposable sediment cartridge, paired with a solid block carbon taste/odor cartridge. There are several combination systems you can choose depending on your specific needs. 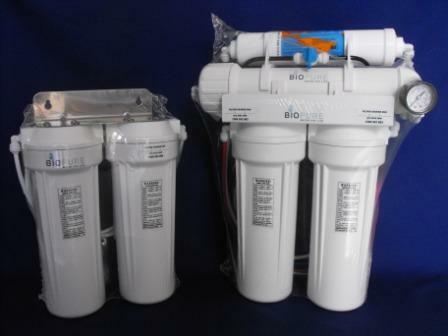 A triple-canister system adds a third cartridge, such as a phosphate cartridge, with the two others having a sediment and odor/taste removal filter. If you have very extreme sediment problems, you can also use two sediment canisters of different sizes. For example, the first canister should have a 5-micron filter, the second should have a 1 micron filter, then the third, a carbon filter. Microns- filters are rated by the size of the particles they can remove. Size is measured using microns. Micron ratings can either be nominal or absolute, meaning average or exact. NSF class I, class II, class III and so on- these are the ratings used by the National Sanitation Foundation. Class I filters are the best at removing chlorine from water, followed by class II filters, then III, and so forth. Life- RV water filter cartridges eventually get plugged up. 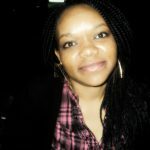 Life is the amount of time you can expect to use the cartridge under typical conditions. Flow rate- filters impede water flow, so as to clean it. Flow rate indicates gallons per minute that your filter can handle. This number is not necessarily completely accurate and may vary. Material- the type of filter medium used. These systems process all the water that goes into your RV. This is a simple and small entry level water filter. It is recommended for RV owners who use their rigs intermittently. They can be attached to a standard hose by simply screwing it on. These are the best choice for water filtration. They can be customized to deal with your specific water issues. These filtration systems are recommended for full-time RVers. They offer all the advantages of the standard canister, but have better flow rate, and will require less cartridge changes. Clean and pure water is vital for life. There are no guarantees that you will find it at every stop you make. Chances are, that the water you get at the various stops during your trip will taste, smell, and even look different than what you are used to. 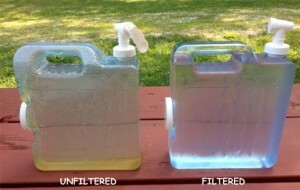 RV water filters make such scenarios a non-issue. They not only make the water smell and taste better, but they also remove sediment and other contaminants. 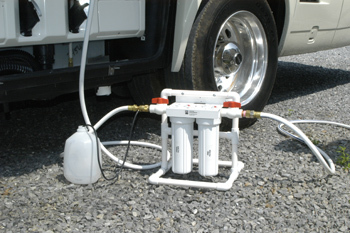 Most RV water filters come in canisters that can be mounted anywhere on the vehicle. A one-canister system may take care of your odor/taste problems, as well as catch some sediment. 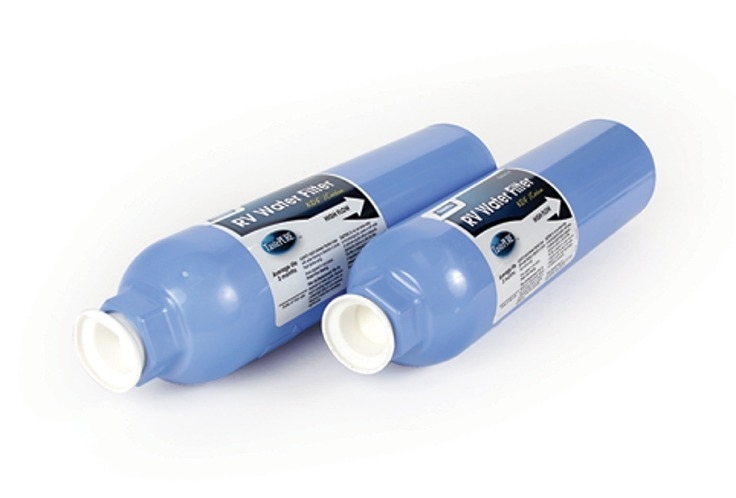 The PR-5, RV-SED5 is a great sediment-only choice for a filtration system. A dual-canister system will take care of your sediment problems, as well as taste and odor issues. They can also reduce the amount of pesticides, lead, cysts, and even heavy metals present in your water. Full time RVers can use the RV-SED1 and CBC-10 in their dual-canister system. 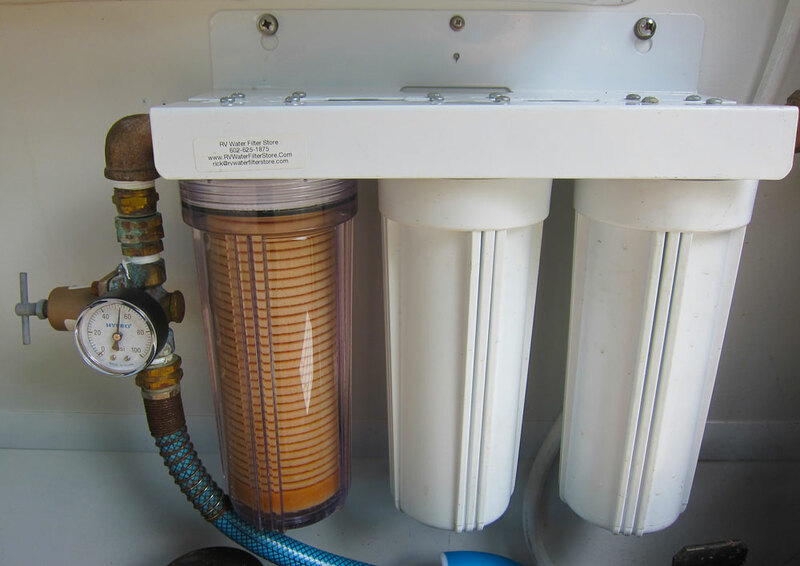 If you only use your RV part time, the RV-SED1 and the CBC-KDF are the filtration systems you should use. The KDF prevents bacteria growth during non-use. KDF carbon blocks lasts longer when wet, so store it with water in the canister. Carbon fiber blocks do not require special storage. RV-SED5 should be used in the first canister of a three-canister system, while RV-SED 1 is used in the second. The third canister should have an odor/taste removal cartridge. If your concern is mineral buildup in the water, an RV–PH cartridge can be incorporated in the third canister. Can I Get Rid of Sediment and Odor Using a Single Unit? Yes. RVs that come with an in-built filtration unit, or combination unit, usually have both sediment removal and carbon filtration. These systems are compact and inexpensive. They usually have a lower odor/taste removal capacity, as they are made from carbon powder-impregnated paper. They are not as great as a dedicated carbon filter. Pure water contains only one compound, H2O. It is very rare to find pure water. It is for this reason that filtration systems exists. Several contaminants can be found in water. These contaminants can be classified into two parts: those that make the water dirty, or taste/smell bad, and those contaminants that can make you sick. Have You Experienced That When You Put Your Glass Under Your Sink? Water that is murky (or hazy) has particles that are referred to as sediment. In addition to affecting water clarity, sediment plugs filters, and can cause components to fail prematurely. The word micron is used to refer to the size of a particle. Water filters are rated using microns. The smaller the micron, the smaller the particle it can remove. Sediment filters work by blocking the particles, and letting the water through. Eventually, the filter will fill/ block up with sediment, at which point you need to either clean it or replace it. 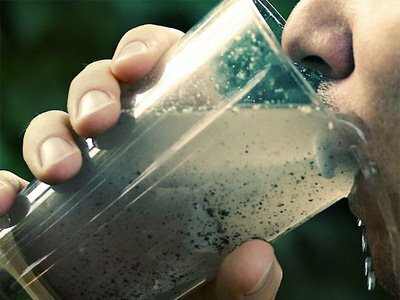 Even if murkiness is not a concern in your water supply, you should always include a sediment filter in your filtration system. This will ensure that any gunk, that may have found its way to your water source, doesn’t end up in your RV system and cause a problem. Whatever is affecting the taste of your water will go right through your sediment filter, and into your tank. You have clean murk-free water that tastes bad. Some individuals will install a taste pure RV water filter to get rid of this problem. There are several options, if you would like to only filter the water in your kitchen tap. These are usually installed under the sink, though counter-top versions are also available. This type of water will cause far worse problems. Biological and chemical contaminants are present in some water, and can be more costly to remove. The city water system also has problems removing all these contaminants from water. You can, however, get rid of these contaminants by installing your own system to process the water, before it is consumed by you and your loved ones. Contaminants include cysts, spores, protozoa, and viruses. These contaminants are usually very tiny; a diameter of less than 2 microns. The first step in removing these baddies is to use a very fine filter. The Doulton Ceramic unit, which has a rating of 0.9 microns, absolutely will remove anything larger than 0.9 microns from your water. Viruses, however, are harder to remove, though an ultra-violet system should do this. 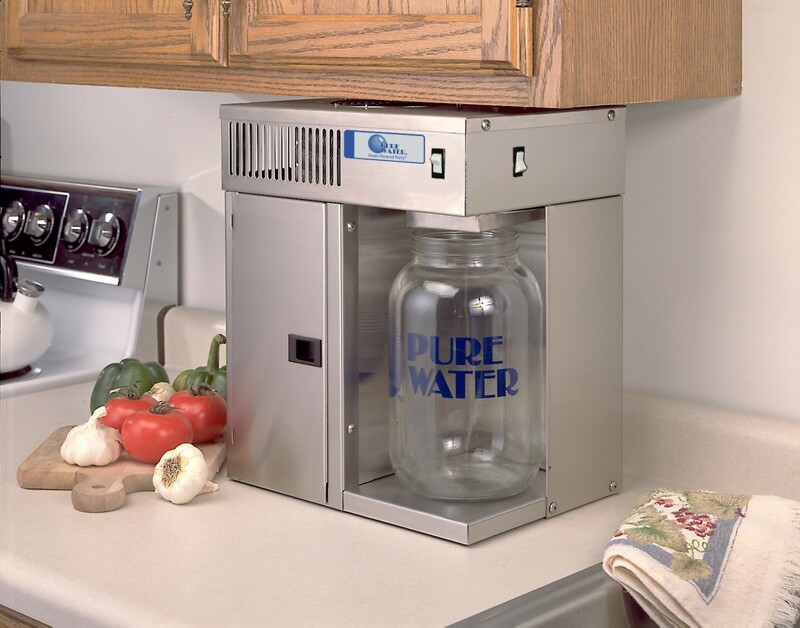 If you want pure, not just clean water in your RV, the filtration system you need will cost much more than your average water filtration system, and have a lower flow rate. These filtration systems are best used with another filtration system. UV light helps to prevent water-borne diseases. It can be dangerous to human beings, and is absolutely lethal to micro organisms; most, if not all, of the micro-organisms in the water die. Those that do not are usually rendered sterile, making them unable to reproduce in the event that they do get into your body. 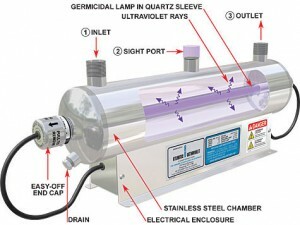 UV light is best used to get rid of viruses in water that cannot be removed through filtration. The system is relatively cheap and easy to use, and does not affect flow rate. It should be paired with a canister filtration system to give you clean, and virtually pathogen-free water, in your whole RV. These systems are usually a tube that holds the water, and a UV bulb at its core. The longer the water is exposed to the light, the better sterilized it will be. The only expense of this system is the electricity necessary to switch the bulb on. They can last for 9000 hours, or a year of continuous use. If you are not a full time RVer, it may last longer, though the tubes deteriorate after a while so you will need to replace them. Reverse osmosis removes virtually all contaminants from water, including salts and minerals. This system is the most cost-effective for attaining almost pure water for your RV. When water moves from one side of the semi-permeable membrane to the other, osmosis occurs. This process is natural, and requires no energy to work. Does Reverse Osmosis Purify All Water? At best, 30% of the water in an RO unit will be purified. For this reason, reverse osmosis needs large quantities of water, as 70% of the water you will use will be waste. Is the Water 100% Pure? Depending on the condition of your reverse osmosis unit, 2 to 20% of the contaminants in the water will pass get through. All sediments, and most minerals, will be removed using reverse osmosis. How Much Water Can I Process? 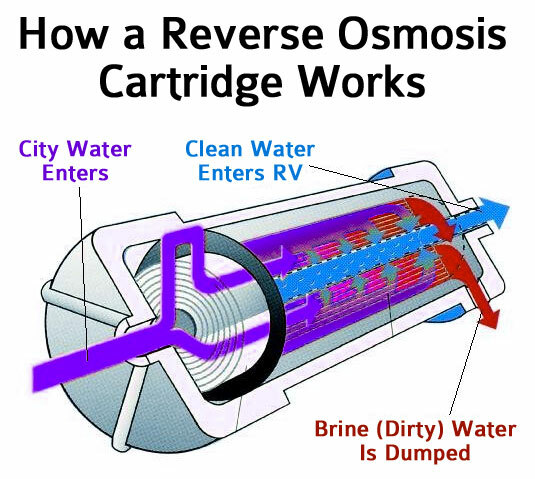 Reverse osmosis is a softener & sediment remover, odor & taste remover, and filter. RO is a low flow process, and most RVers use it to purify the water they use for cooking and drinking. Reverse osmosis requires 40 psi of pressure, at a minimum, to work great. Sixty psi and above will create cleaner water at a faster rate, and help your membrane to last longer. You can process as much water as you have, but remember that almost 70% of the water you intend to use will be considered brine. Brine is usually disposed of down the drain. It can also be used to water plants. Is it Practical to Filter All the Water in My RV? Achieving total purification is an expensive and difficult process. Virtually-pure water that is suitable for every use in your RV is achievable very easily though. How Long Will My RO Unit Last? The membrane in your unit will eventually need replacing, because it eventually breaks down due to use. When this happens, the contaminants will pass right through. To ensure your membrane is working correctly, measure your water regularly. A total dissolved-solids measure is the most accurate way to do this. If you notice an increase, you may need to replace your membrane. The membrane can also get clogged, due to contaminants. This is easy to see and diagnose, as this will cause a decrease in the production rate. Replace your membrane if this is the case. Pre-filter the water you pass through your RO unit. Sediment will cause the membrane to clog up, and chlorine also affects it. Use a boost pump to control pressure in your reverse osmosis unit. They are easy to install. Distillation is an energy-intensive and time consuming process. It produces great quality water for your needs. However, the correct equipment can be expensive to purchase. 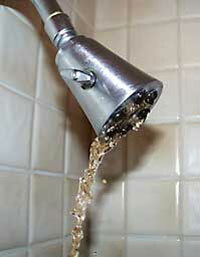 The minerals found in water can form deposits that will end up in your pipes or fixtures. Hard minerals, such as magnesium and calcium, interfere with the reaction between water and soap. 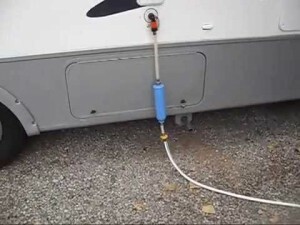 A treatment system in your RV will easily solve all these problems. Hard water can be very unpleasant to wash with. Hard water contains minerals in excessive quantities. Water softening, or ion exchange, is the most common treatment for such water issues. 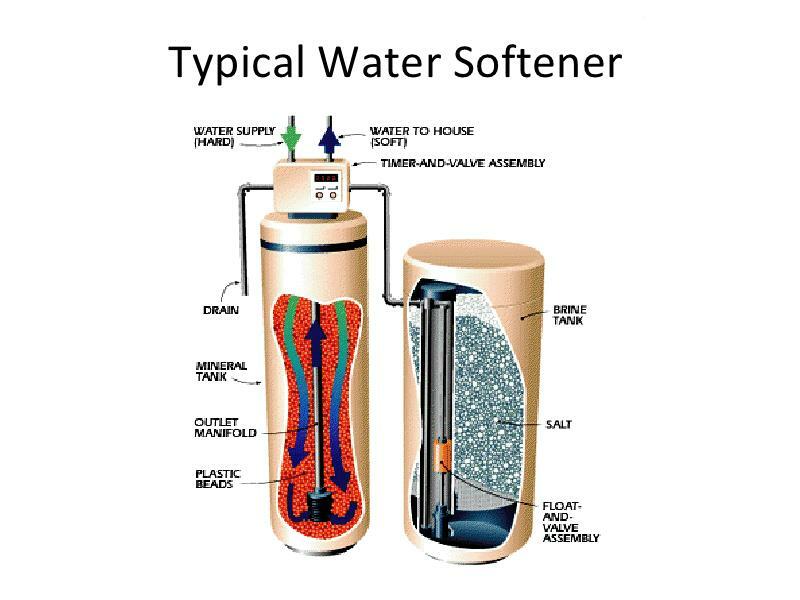 Water softeners are contained in a fiberglass container. This container is filled with an ion-exchange medium that needs to be charged with salt brine. Table salt/sodium chloride, or potassium chloride, is used to do this. The hardness of the water is the determining factor of how much water can be de-ionized per charge. 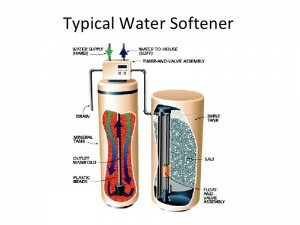 Softeners can be recharged manually, with no need for electricity, or automatically. Choose the type of salt you want to use for your softener, before selecting the softener. Sodium chloride is very cheap, but the sodium it adds to the water may cause health problems. Potassium chloride is more expensive, but it is benign to both the environment and you. De-ionization is the removal of mineral ions from water. De-ionization works just as carbon filtration does. The minerals in the water are absorbed by the filter. Mineral filters are very expensive, and therefore not commonly used. Class I filters can remove as much as 75 to 100% of the chlorine in water. Class II filters removes 50 to 75% of the chlorine in water. Class III filters removes 50 % of the chlorine in water. Carbon granules have been used for centuries in water purification. Technology has now allowed for manufacturers to produce porous solid carbon blocks, that are superior to the granular carbon filters of old. Lately, the modified carbon block has been manufactured. This is a filter built from fibers, in a slurry of carbon. Water creates channels to flow through granular-activated carbon. Solid block filters have a high NSF rating. 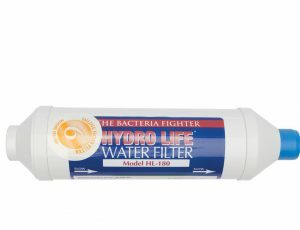 This is because the filters have a very small micron rating that also removes cysts and some microbes. They are more expensive than the granular filter, but worth the price. MCB filters are similar to SBC filters. They have a better flow rate and longer life, but are priced at about the same range. These filters are the most popular and effective for RV use. KDF can be incorporated in carbon filters so as to remove bacteria. These filters are great for people who use their RVs once in a while. Silver nitrate is also used to prevent bacteria growth in filters. Flow is the volume of water delivered over a set period of time. Pressure is the measure of force of water. Pressure and flow are inter-related, the better the pressure, the better the flow. RV plumbing systems are usually set to 60 to 85 psi. House plumbing operates at 60 psi. If your pressure is set at 100 psi, your plumbing system could very easily burst. Install a pressure regulator so as not to burst your pipes. With regard to water flow, size matters considerably. Anything that blocks or reduces the size of your pipes will cause a problem with flow. Collapsed or kinked hoses are the first place to check for problems with flow. The bigger the filter, the more the holes, so the better the flow. The smaller the filter, the less the holes, so expect a restricted flow. Purchase the largest canisters you can use to improve flow. Filters also get plugged with sediment, and other contaminants. If you are experiencing flow problems, you may need to clean or replace your filters. Manufacturers do all they can to reduce costs. Small pipes and other fittings may be the cause of your flow problems. Only fill up your tanks with water from a known source. If the water provided is declared potable, you can bet that they get the water tested. This applies to campgrounds that supply well water, too. Unfortunately, you never know when the last test was carried out, and contamination can easily occur. Potable water doesn’t stay that way forever. An RV holding tank is like a large, warm, moving petri dish. Slime and algae easily build up in it, which is why you need to maintain your system and sanitize it. Cleaning the tank and the line will get rid of any slime and sediment that got past your filtration system. Clean and disinfect your tanks at least once a year. 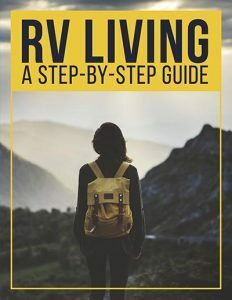 RVers who do not use water filters not only have to deal with the risk of getting sick, but also what the dirt and contamination, in the water, does to the system, and the holding tanks in particular. Each sip doesn’t have to be an act of courage, easy-to-install water filtration systems for RVs are available, to take the fear out of drinking water.